I bet you missed a Micromax concept phone, so that’s why we give you Suman Chatterjee’s latest concept, the Micromax Canvas M1. The Indian company has been performing well locally, with some very interesting models, so they may be in need of a hit, a high end phone that looks hot. 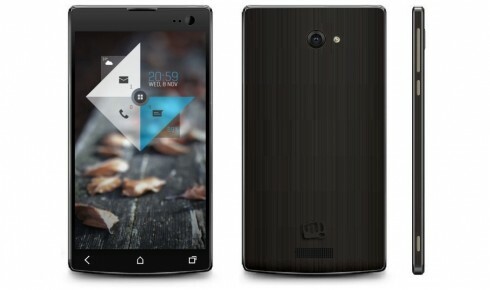 The Micromax Canvas M1 is only 6.07 mm thick, thus taking part in the race for “the world’s thinnest phone”. There will be two versions of the phone: a 5.1 inch one and a 4.7 inch unit, both with Full HD resolution. There’s also a 1.5 GHz quad core processor inside, 2 GB of RAM, a 13 megapixel camera for the 5.1 incher and an 8 megapixel cam for the 4.7 incher. Upfront we’ve got a 3.2 MP camera and 2 MP camera respectively and both versions come with Android 4.2 Jelly Bean as the OS. The interface here is very interesting, especially that widget that reminds me of a combo between Acer’s Ring UI and Lenovo’s own square widgets. Pretty cool, right?